A couple has been arrested for carrying shabu to Davao City amid LP bet Mar Roxas' claim that he knows where to buy illegal drugs there. "May droga sa Davao ngayon. Ngayon lang, gusto mo samahan kita e, makakabili tayo ng droga sa Davao e [Illegal drugs are now in Davao. 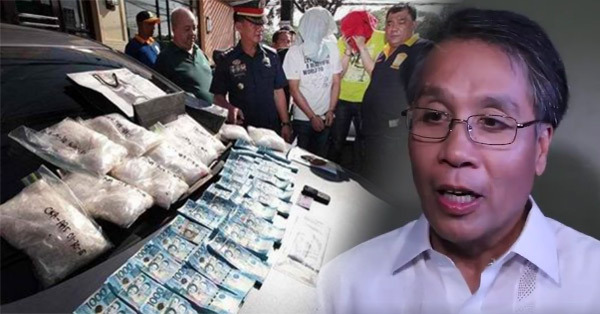 Right at this moment, I can accompany you if you want, we can buy drugs in Davao]," the presidential candidate told reporters in an ambush interview. On Sunday, February 21, a Lanao-based couple yielded almost P500,000 worth of shabu at a military checkpoint in Barangay Sirawan in Toril district, Inquirer.net reported. Esmael, 40,and his 37-year-old wife, Ashinaya, both residents of Balabagan, Lanao del Sur, were arrested by combined elements of the Philippine Drug Enforcement Agency (PDEA), the Air Intelligence Security Squadron, and the Toril district police. PDEA got a tip that a Ford Everest with shabu will enter Davao on that day so they waited at the Task Force Davao checkpoint. When the SUV was spotted, it was flagged down and searched. Some 50 grams of suspected shabu worth P450,000 were found inside the couple's vehicle. On Monday, February 22, charges for violation of the Comprehensive Dangerous Drug Act of 2002 were filed against the suspects, according to the report.